The writings – novels, poems, stories and dramas of all kind – we get to read because their authors created it for the public. And it still stays this way even if the work is called “letters” – or for example “diaries” as Max Frisch calls two of his works (english versions here). He made it quite clear that “diaries” (though they are called “sketchbooks” in the English translation) for him is just a way of writing like writing a novel for example. When it comes to letters – real letters – things are different. Often they were written for one purpose: to keep in touch with people over a more or less long distance. 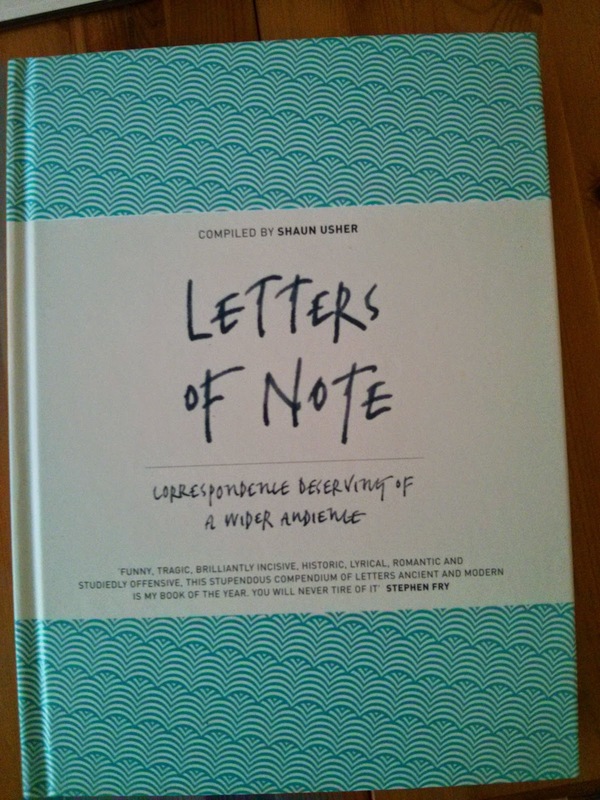 The wonderful book “Letters of Note” collected by Shaun Usher makes 125 letters available for readers in one huge volume. A volume that deserves a very favourite place in the bookshelf nearby or on a table because the variety of the topics and the writers are so well chosen that the reader will like to have it at hand to open and flick through it every once in a while and get hooked by letters of love, of dramatic situations or letters from famous persons. All of them give a very intimidate look into the brains of the writers which is emphasized by facsimiles of the letters placed to a reader friendly transcript of the writings. The book is also available as Kindle version and although I do love my kindle, I’m glad I decided to buy the hardcover. If you are a book lover or if you want to gift it to a book lover dear to you, do the same. I’m impressed, I need to say. Actually hardly ever do I encounter a blog that’s each educative and entertaining, and let me inform you, you’ve hit the nail on the head. Your idea is excellent; the issue is one thing that not sufficient persons are talking intelligently about. I’m very completely satisfied that I stumbled across this in my seek for one thing relating to this.